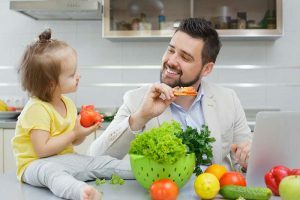 Although maternal health still has a greater effect on infant growth and brain development, science is now illuminating the effects of paternal nutrition on their offspring’s mental fitness, as well as other lifestyle factors. What influence does the father’s diet have on the mental health of the offspring? In a study of mice, researchers found that males fed certain dietary supplements (including Vitamin B12, folic acid, methionine and zinc) produced offspring that performed well below average in memory and other cognitive tests. The diet influences so-called epigenetic patterns in the genome, and this reprogramming is transferred to some degree to the next generation through the sperm. Not only in animals, but also in humans, too much methyl consumption could lead to health problems. According to the researchers, however, further studies are necessary to determine the exact extent. It remains to be seen what this discovery could mean when it comes to advancing our own knowledge of how a father’s nutrition will affect his children. Tobacco and other drugs can have negative consequences for their genetic makeup. Consequently, heavy and even moderate drug users have a higher risk of fathering a child with either a birth defect or a cognitive disorder. Moreover, according to studies in small children, there is a higher risk of developing asthma when the father smokes and at the time of procreation. The father’s age plays a significant role when it comes to mental diseases of the offspring. The older the man is, the greater the risk that he will give his child defective, genetic material. The number of mutations increases dramatically with increasing age. Research has repeatedly confirmed that older fathers have a higher risk of producing children with Autism Spectrum Disorder (ASD) or schizophrenia. 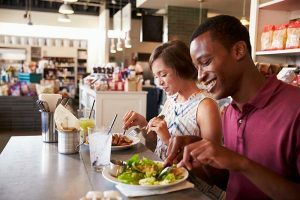 While the increased risk is nearly impossible to avoid for older fathers, those who have a clean bill of health and have made healthy lifestyle choices still seem to fare better than those who haven’t. A study from Israel showed that male adolescent children of fathers aged 45 years or older developed 1.71 times more likely diseases such as schizophrenia or autism than those of fathers in the age group between 25 and 29. In addition, a Swedish study found that the increasing age of the father increased the risk of the child for a bipolar disorder. The offspring of men who were 55 or older were diagnosed 1.37 times more frequently with a bipolar disorder than those of fathers between the ages of 20 and 24. What Causes These Genetic Changes? Unhealthy lifestyle choices and advancing age can cause changes in a prospective father’s genes. Although these changes can be incredibly minute (and are not yet fully understood by science), these changes get passed onto his offspring. A few notable examples are obese men who tend to have overweight children or male cigarette smokers having children with birth defects or a variety of cognitive disorders. Although it’s becoming clear that paternal factors such as age, smoking and overall health can contribute to birth defects as well as conditions like autism, scientists are still uncertain why this is. Unfortunately, the limited research available on the subject has not yet elucidated whether or not these birth defects and disorders are brought about exclusively by changes in the father’s genetics, or whether they’re indicative of some other health concern researchers haven’t yet pinpointed. It’s a fascinating field of study that we’re only now beginning to understand. However, what is clear is the necessity of both parents to live the healthiest possible lifestyles they can before they have children. While it’s obviously too late to “undo” choices you’ve already made, it makes good sense to start making the right dietary and health choices if you’re planning to father children. And while nobody needs to rush into one of the most difficult decisions and parts of life, as you age, the likelihood of fathering children affected by either birth defects or neurodegenerative diseases goes up. If you want to be a father, these effects are something you simply can’t ignore. We wish you the very best of luck and health and we wish your children the same! Feel free to comment, message us, or engage with us on social media if you’re curious to learn more about the role a father’s health plays in an offspring’s mental fitness. Having urinary tract infections is never a good experience, but during pregnancy, it can be a particularly uncomfortable and unhealthy experience. During pregnancy, this can be slightly harder to diagnose and treat because the body changes so much.